Contact your city’s health department to learn of the requirements and cost associated with obtaining a permit or mobile permit if you intend to operate an ice cream cart. This of course is a necessity for opening any business and is the basic stuff you need to get out of the way before proceeding. 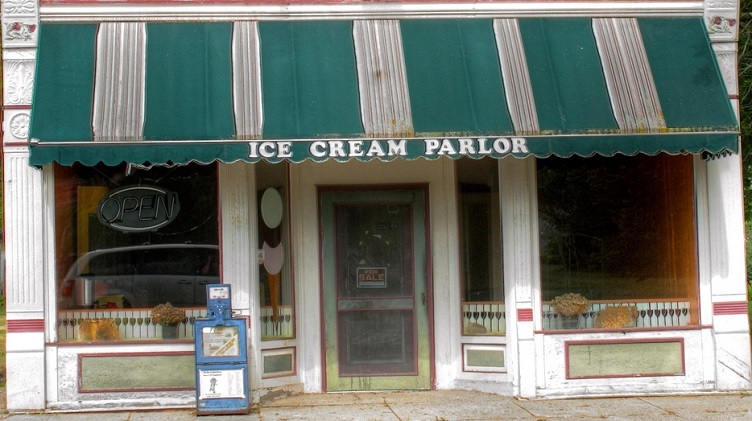 Choosing the right location to start your ice cream shop is also imperative to your success. 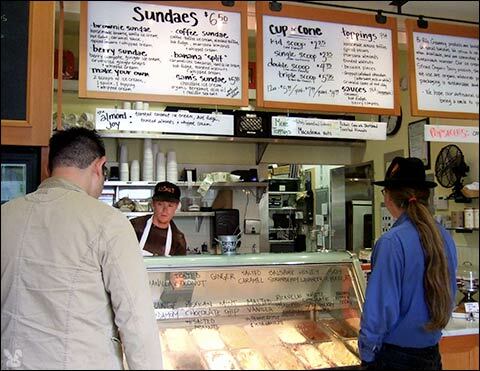 Some hot spots for most ice cream shops include parks (especially those near baseball fields where younger kids would be), plazas, shopping malls, near beaches, etc. Warmer climates tend to do better with ice cream shops for obvious reasons. Be aware of your surroundings because as with any business it’s all about location, location, location! Equipment is the next and most crucial step in starting an ice cream shop. Ice cream is a profitable business and thus there are numerous products to choose from that will help make your ice cream creations unique and fun. Of course not all of these products are necessary; some of them are just accessories to add to an already established ice cream shop. Dipping cabinets are without a doubt a necessity to your ice cream shop. Without dipping cabinets there would really be no way to sell your product. Ice cream dipping cabinets are where all or at least most of your ice cream will be stored. These frozen storage spaces will keep your ice cream at an ideal temperature all day long. When choosing a dipping cabinet (and you will probably want to buy several), you want to look at those that have a display for your customers. If food is based largely on visual appeal, then your customers will expect to see what you have to offer before they choose to eat it. Horizontal dipping cabinets are good for storing extra cartons of ice cream that aren’t on display. Cone dispensers and cone holders are both ideal products to have. 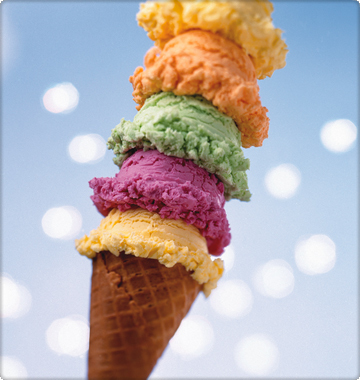 The ice cream cone holders are great for displaying the variety of cones that you have in your store. This is just another way to draw in your customers with visual appeal. Soft-serve ice cream machines and a batch freezer are ideal for having as a nice alternative to regular ice cream. For those of you who don’t know, a batch freezer is a machine that produces ice cream on a commercial scale; this can range from soft-served ice cream to gelato or sorbet. Not all of your customers are going to want regular ice cream and will be looking for variety when stepping foot in your store. To avoid any disappointment, make sure you have a soft-serve ice cream machine or batch freezer to give them more options. Ice cream scoops are an obvious necessity. Your scoop should be sturdy (metal is always better for commercial ice cream use) and it should make dropping ice cream into a cone or cup a breeze. Be sure to have plenty on hand. Restaurant furniture is another great thing to have in any restaurant business. This includes booths, chairs, tables, stools, trash receptacles, and even youth seating (because we mustn’t forget about the children). Above all else, the most important thing to have in any ice cream shop are napkin dispensers and napkins. Ice cream can be messy when it’s melting faster than a customer can eat it (this might be due to how well your dipping cabinet is working for you to start with). Make sure your customers have plenty and plenty of napkins or they will be upset. Freezer and refrigerator merchandisers are also ideal for any ice cream parlor. Make sure you have both for any products that may require various temperatures. Above all else, make sure you have a back room that acts similar to a kitchen for storage space for all of your products. This room is where you would put your walk-in freezer. Walk-in freezers are great for ice cream shops because they really give you a place to store a large part of your supplies in one area without having to buy numerous dipping cabinets. It’s something to consider for any serious ice cream shop owner. Now that you have a general idea of what type of equipment you need to buy to get started it’s time for you to develop a business plan for your ice cream shop. 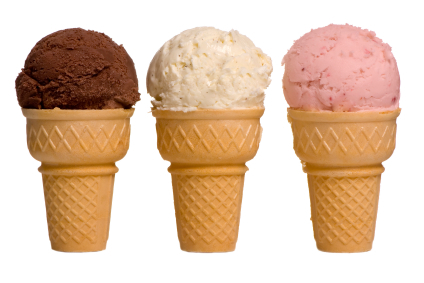 Start doing your market research to find out where the best places to sell ice cream are and what types of ice cream flavors are good to have in your store. Designing ideas for your shop, using advertising techniques, understand who your competition is and watch how they sell their ice cream if they are well-established, and above all else understand your finances so you won’t go into debt.